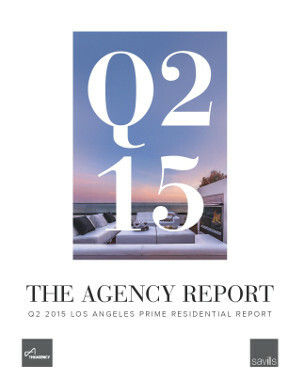 The Agency’s Second Quarter Report for the Los Angeles prime residential markets was just released, and its findings not only reveal sustained growth but record-setting highs across the most sought after neighborhoods. The number of single-family residence transactions topped 1,053 over the warm spring months, which set a new 10-year record. This entry was posted on Tuesday, July 14th, 2015 at 12:55 am and is filed under Uncategorized. You can follow any responses to this entry through the RSS 2.0 feed. Both comments and pings are currently closed.